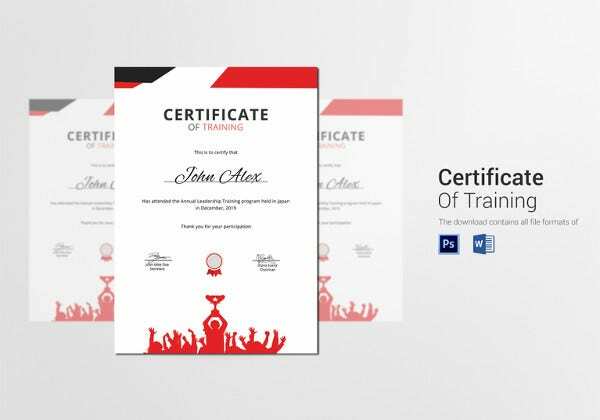 Usually, when we think of certificates, we think of them as awards. For instance, if a competition or a tournament of some kind is being organized, we would be recognizing the efforts put in by the winners with a certificate. While it appears to be a simple piece of brightly colored paper with embellishments, it really is priceless to the beholder. 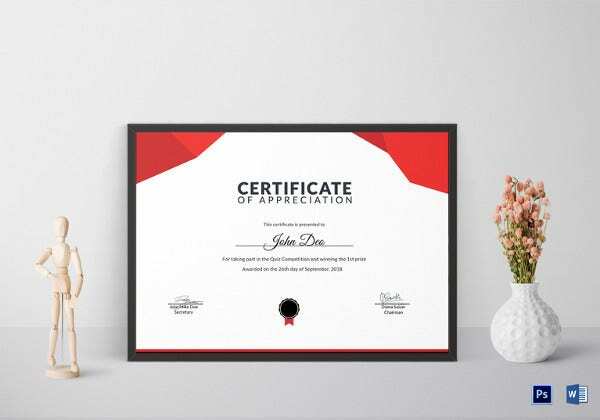 As a result,it is important to pay attention to the design of the certificate. 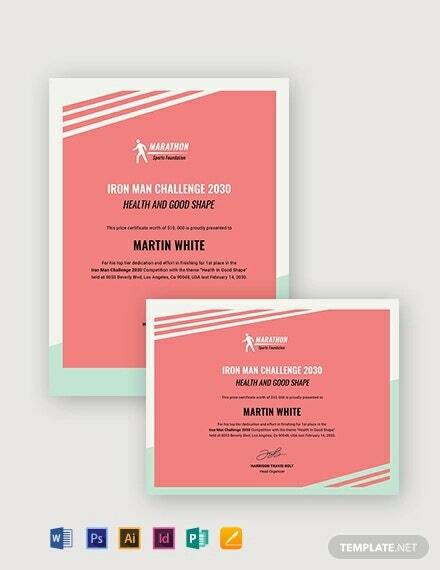 For that, you can take the help of these Prize Certificate Templates. You can also see Certificate Template. 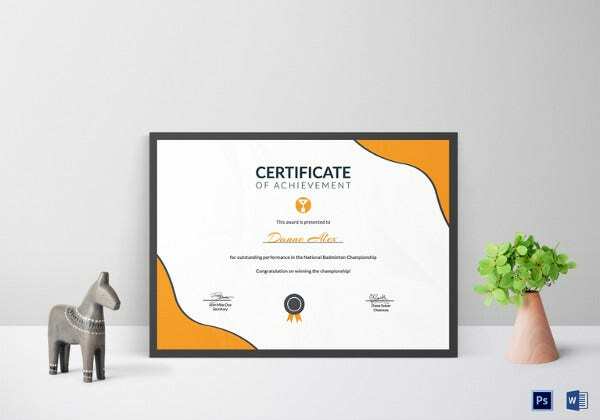 This prize certificate template with a white, black and orange theme looks great and well organized. The textual elements on the template are not only customizable but also well defined. 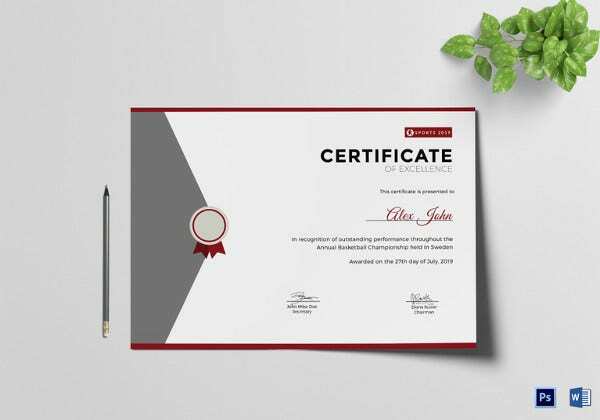 This certificate comes with a minimalistic layout. The design has been kept simple and to the point. Also, the generous splashes of red add to the charm of the template. This certificate would be perfect as a prize certificate. It comes with the format all ready for you. You will just have to edit the minute details on it and then print it. This template comes in a Word or PSD format, a print ready layout, a standard size with bleed, a CMYK colour mode, high resolution of 300 dpi, and easy customization of text and color. 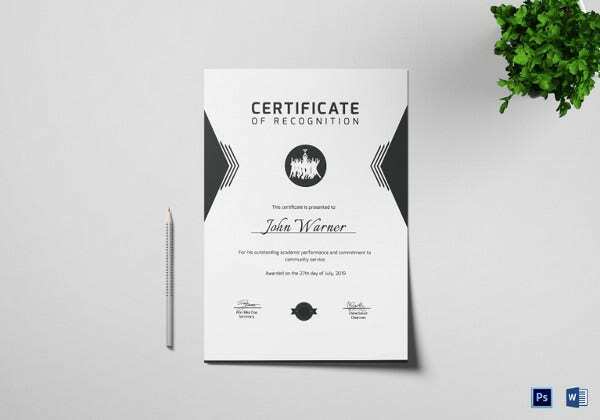 The black and white theme maintained throughout this certificate template makes it look sophisticated, classy and elegant. It comes with a dignified design and a layout that is easy to edit. > What are the Prize Certificates? In most competitions and tournaments, there are usually three winners. They are awarded the first, second and third prizes based on their ranks and their achievements. Now, these three winners are awarded certificates along with a token of appreciation which could be something like a trophy. 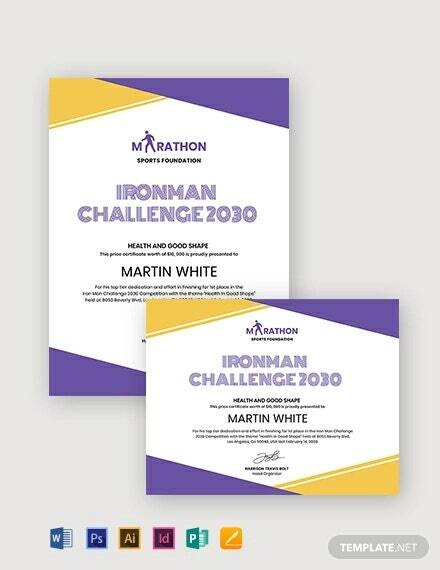 Prize certificates may be distinguished on the kind of event it is. 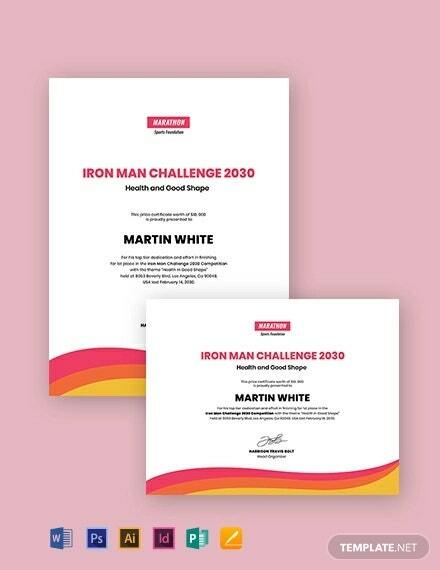 For instance, if it is a sports event, you would be needing special sports prize certificates. It could even be an art or painting competition. In that case, painting prize certificates would be appropriate. 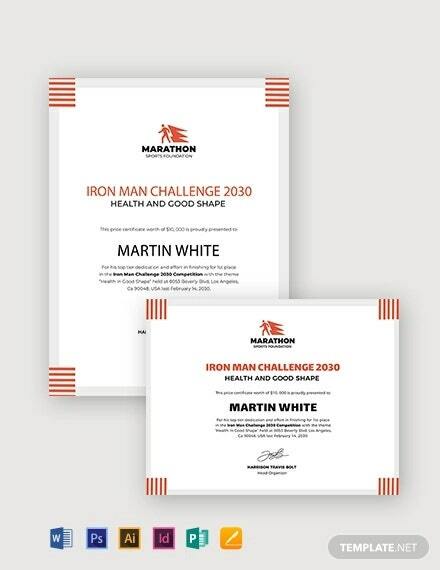 Thus, these prize certificates are specific in nature. You may also see Award Certificate Template. > Why are Prize Certificates Awarded? At any event or competition, it is important to instill a competitive spirit. That gets the participants going and also encourages them to work on their performance. However, there can only be one winner and two to three runner-ups. These are the people who worked the hardest and came out with flying colours. Obviously, it is important to appreciate their achievement and concretize it with a certificate. A certificate proves their excellence and is something that they would treasure for years to come. The certificates are usually awarded by the organizers of the particular event or tournament. Prizes can be of various types, based on the kind of event you’re thinking of. Keeping that in mind, professionals have come up with multipurpose prize certificates which are easy to use and download. 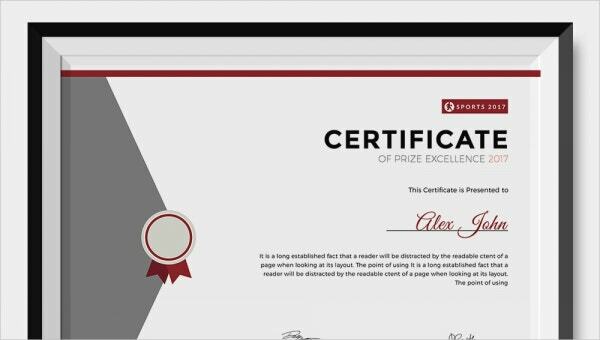 The prize certificate templates you see here come with easy customization and Word compatibility as well.